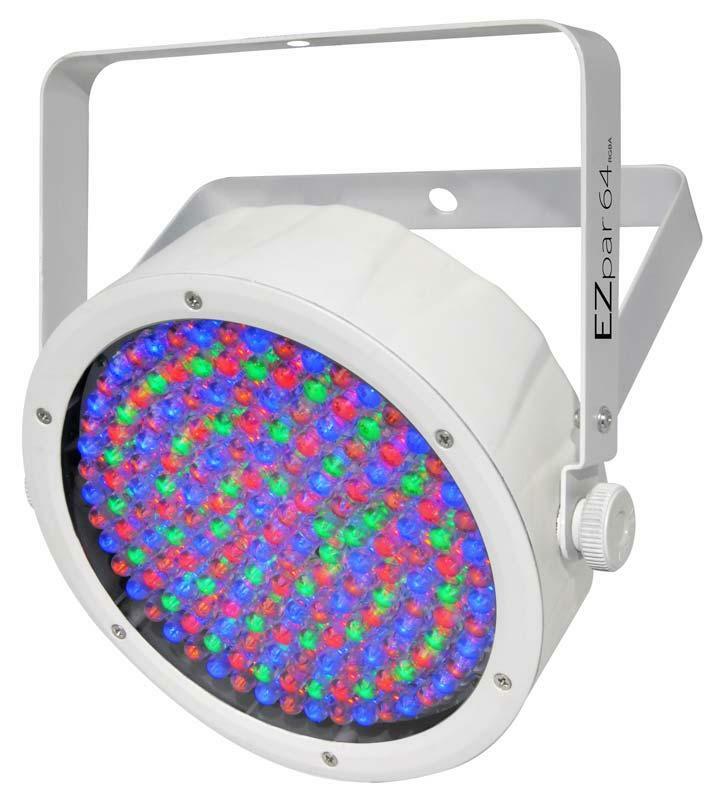 The Chauvet EZpar 64 RGBA is a battery-powered wash light solution with a white housing case and 180 red, green, blue & amber LED's perfect for uplighting. 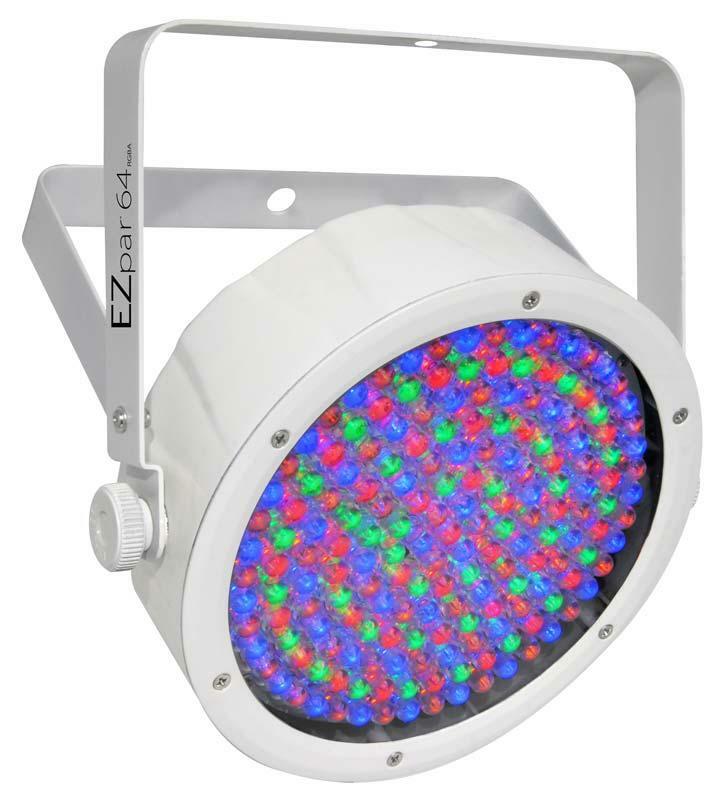 The EZpar 64 RGBA is designed to free the mobile entertainer from the hassle of running cables, and speed setup. 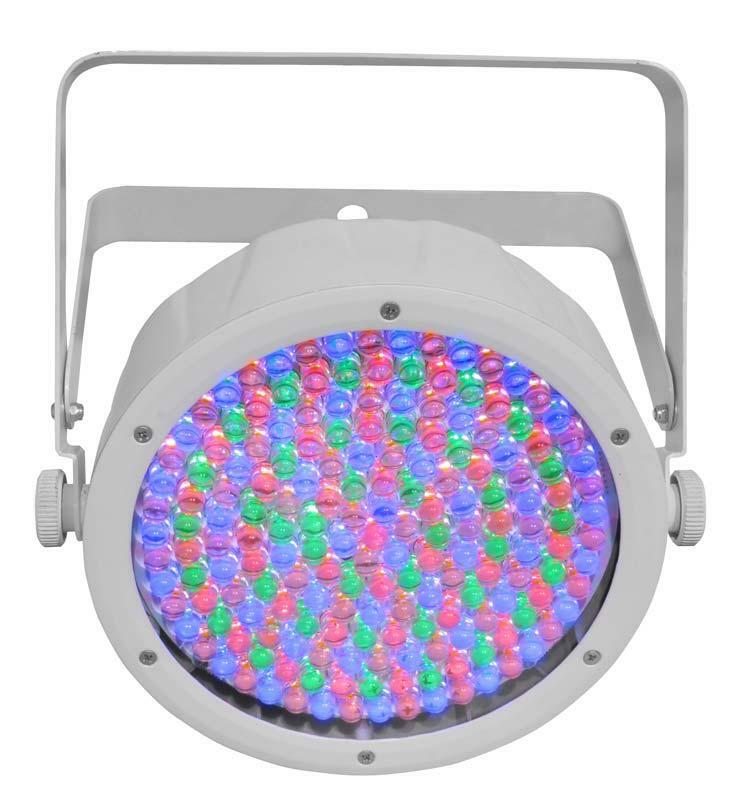 The rechargeable lithium-ion battery lasts up to 20 hours on a single charge and powers all 180 red, green, blue, and amber LEDs to deliver stunning colors. 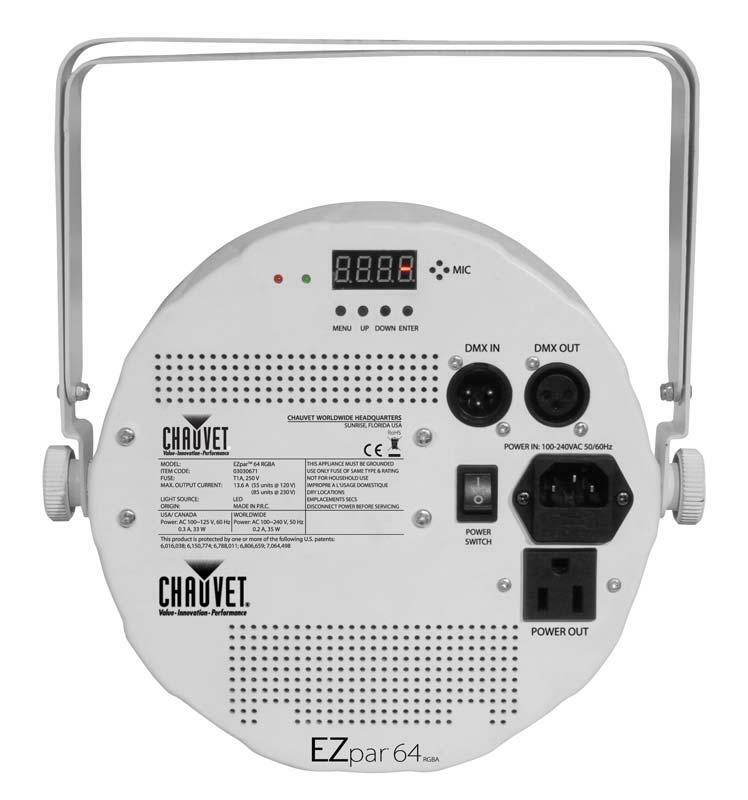 Easily keep tab on the remaining charge using the visible battery-life indicator, and add a wireless D-Fi™ receiver to create a completely wireless solution.